On 9 January 2018, EMpower’s Executive Vice President, Cynthia Steele, was invited to join Principal as they rang the NASDAQ Opening Bell in New York! 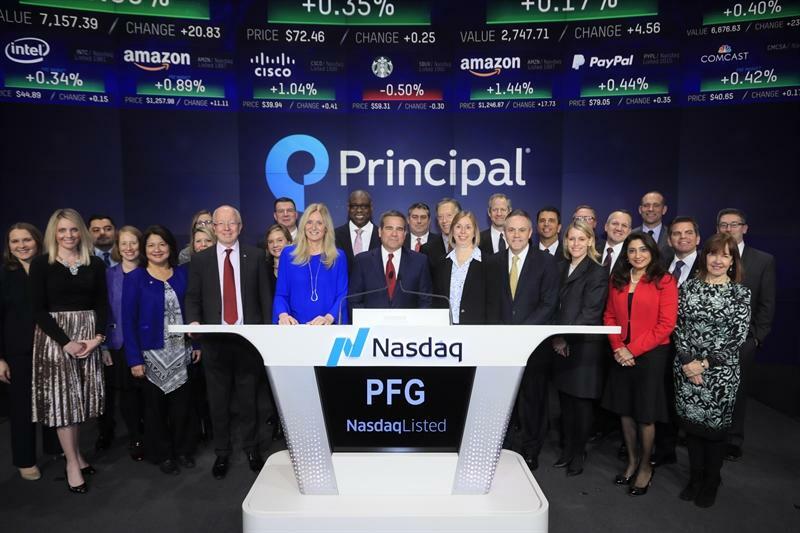 This was a spectacular opportunity to congratulate Principal on joining the NASDAQ family as well as to celebrate their ongoing support of EMpower’s work. We are incredibly grateful to have received a generous gift of $30,000 from Principal that will allow our grantee partner, Lend a Hand India (LAHI), to continue their important work and enable 180 young people to train as vocational trainers. LAHI’s work will not only provide career opportunities for these 180 young people, but also benefit hundreds of others as they in turn conduct their own trainings. With Principal’s support in 2017, LAHI was able to train 120 young people to become certified as vocational trainers in the topics of General Engineering, Energy & Environment, Gardening and Nursery Techniques, and Food Processing. LAHI’s training program is also addressing the existing gap in qualified trainers and teachers to impart technical information in India.